Q: What size are the booths? A: All PES Exhibition & Event Solutions booths are 2m in height with fascia name sign at 2.4m high. We offer a range of standard booth sizes from 2mx1m, 2mx2m, 3mx1m, 3mx2m, 3mx3m, or you can extend the width of your booth by the metre. Some exhibitors require a 6mx2m booth to showcase their products or services to their best advantage. Q: What is included in the cost of a standard PES Exhibition & Event Solutions booth? Q: What material are the booths made of? A: To make your life easier all walls of our booths are infilled with black velcro compatible material, so posters or displays can be quickly attached with double sided velcro dots or tape. Pins are not recommended. Each panel has a silver aluminium frame giving an attractive and finished appearance. Q: Can I hire display boards from PES? A: Yes, we have a range of display boards available – some convert from horizontal to vertical in minutes. Our display boards can be used individually or joined together to form back boards, room partitions, dressing rooms, storage rooms. All display boards are made of the same high quality material as our boothing. Q: Can I hire furniture for my exhibition booth? A: Yes of course, and to help simplify the process for you PES Exhibition & Event Solutions offers a number of furniture packages to suit all size booths, or you may wish to hire individual furniture items like display plinths, coffee tables, ottomans, Plasma or LCD TVs, DVDs and more. Furniture should be booked at least 3 weeks prior to the event to ensure availability. Q: Can I personalise my fascia name sign? A: Absolutely. This is a great way to personalise your booth with your own corporate identity. You can upgrade to a custom graphic fascia sign with logo for $90+gst. Logo and any other artwork must be sent in jpeg format at least 3 weeks prior to the event. Q: Can graphic images be inserted into the booth panels? A: Yes, and this is another innovation by our company. To highlight your particular product or message you can add from 1 -7 or more 1sqm graphic images to your trade show booth at very reasonable prices. Artwork must be received 1 month prior to the event. Q: Are floor plans provided? A: Once your exhibition has been confirmed with PES Exhibition & Event Solutions we will provide an individual floor plan showing exact location of all exhibition booths. We will also work in partnership with your venue to ensure health and safety regulations are met relating to entry and exit access. Q: Will I need extra power at my booth? 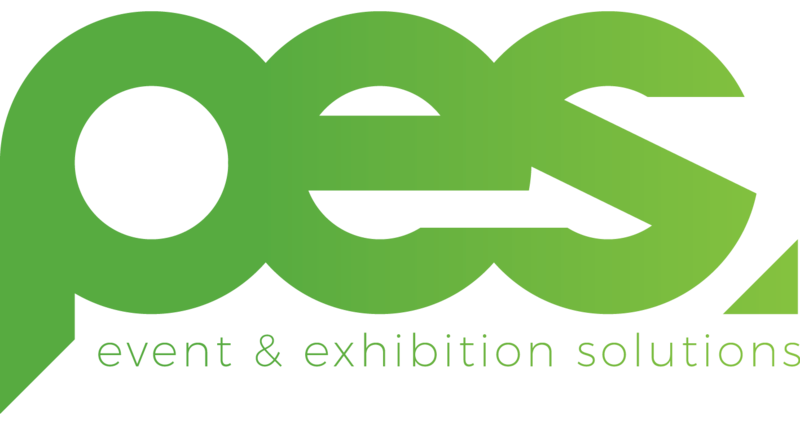 A: PES Exhibition & Event Solutions provides 1 x 4amp power for each booth, however if you are running 2 or more electrical appliances we highly recommend you upgrade to a tagged and tested power board to ensure you do not loose power during the exhibition. Cost $45+gst. Q: Why should I purchase a custom graphic display? A: Experienced exhibitors have noticed the PES Exhibition & Event Solutions difference. Look like a leader in your field with a custom graphic display. The perfect solution for companies who want their presentation to have real impact and attract more potential customers. When it is your company’s image on the line, your exhibit has to look it’s best. That is why we engineer our booths to withstand the rigors of trade shows, then build them to a noticeably higher level of quality. Our design team will work with you to deliver a custom made stand that reflects your company’s physical, environmental and functional purposes, whilst maximising visual impact. An investment in a custom display will pay for itself after 2 or 3 trade shows. The life of the display frame is 10 years and graphics can be replaced at any time. PES Exhibition & Event Solutions custom displays can flat pack to 1msq for easy transportation. A durable travel bag is provided by PES Exhibition & Event Solutions. Q: What does a custom graphic display weigh? A: Far lighter than you would expect. For example a 3mx1m custom display weighs approximately 45kg. The display will flat pack to 1msq so transportation by vehicle or aeroplane is easily accommodated. Q: How long will it take to erect my custom display? A: You will be amazed how quick and easy PES Exhibition & Event Solutions custom displays are to assemble. There are no plastic attachments, screws or mechanical drilling required – just an allenkey. It will take no more than 10 to 15 minutes to erect a 3mx1m custom display and you will be ready for business.